The United States is open to facing “repercussions” if it doesn’t live up to its commitments in a potential trade deal with China, Treasury Secretary Steven Mnuchin said, in a sign that the two sides are edging closer to an accord. “There are certain commitments that the United States is making in this agreement, and there are certain commitments that China is making,” Mnuchin told reporters April 13 at the IMF meetings in Washington. “I would expect that the enforcement mechanism works in both directions, that we expect to honor our commitments, and if we don’t, there should be certain repercussions, and the same way in the other direction,” he said. Mnuchin said the two countries are making progress in talks to end their nine-month, trade-and-tariff war, which has cast a cloud over global growth and financial markets. Under the pact being discussed, the United States and China would each establish an “enforcement office” to monitor compliance, he said. The United States and China are discussing whether to hold more in-person meetings, Mnuchin said, after talks in Beijing and then Washington in recent weeks. “We’re hopefully getting very close to the final round of these issues,” he said. 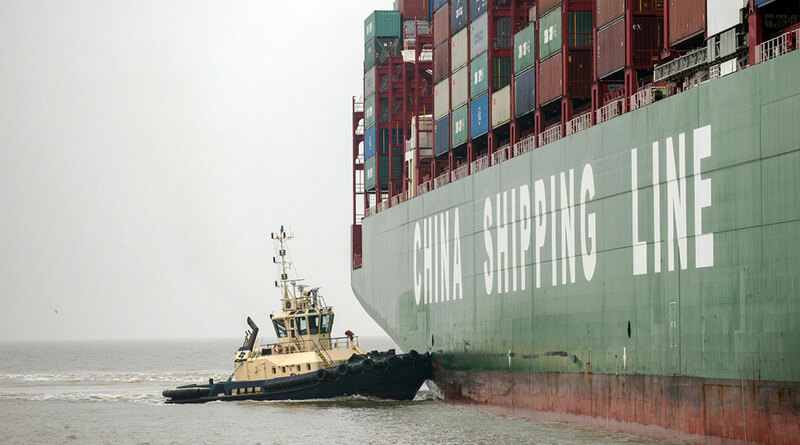 IMF cited trade tensions as a risk this week as cut its outlook for global growth to the lowest since the financial crisis a decade ago. Asian stocks began the week on a mostly positive note after earnings, and Chinese economic data eased concerns about a slowdown in global growth April 12, lifting U.S. shares and Treasury yields.